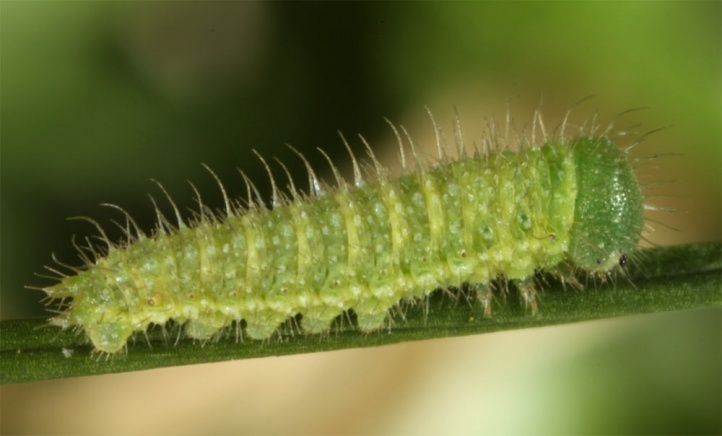 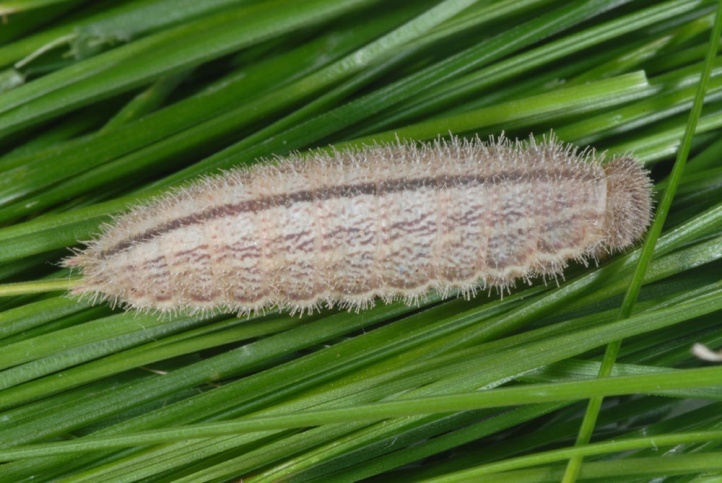 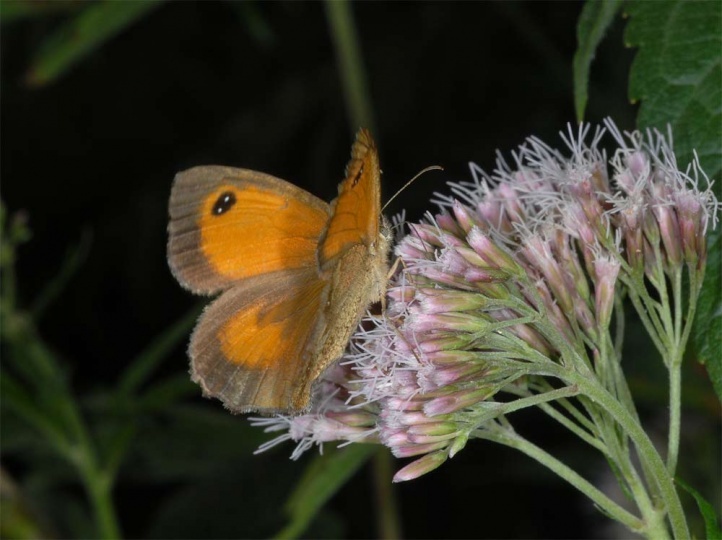 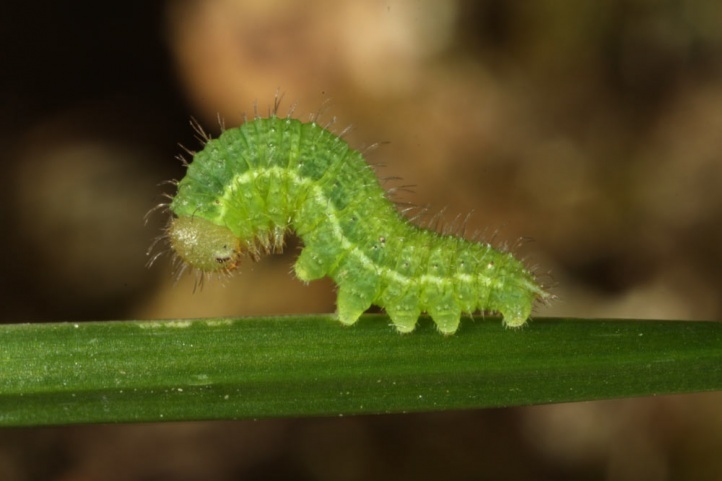 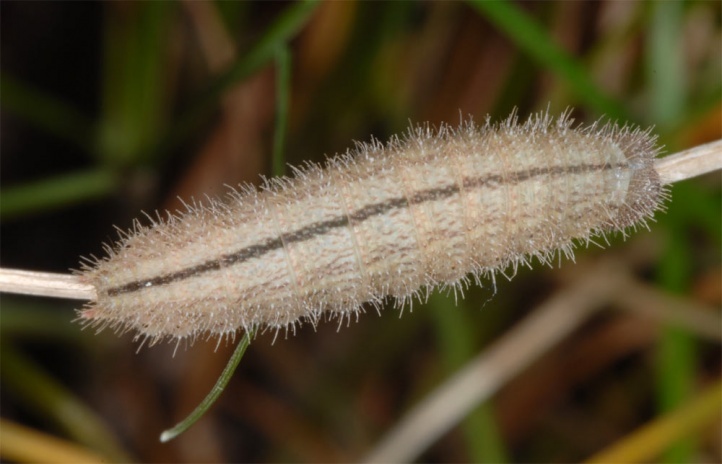 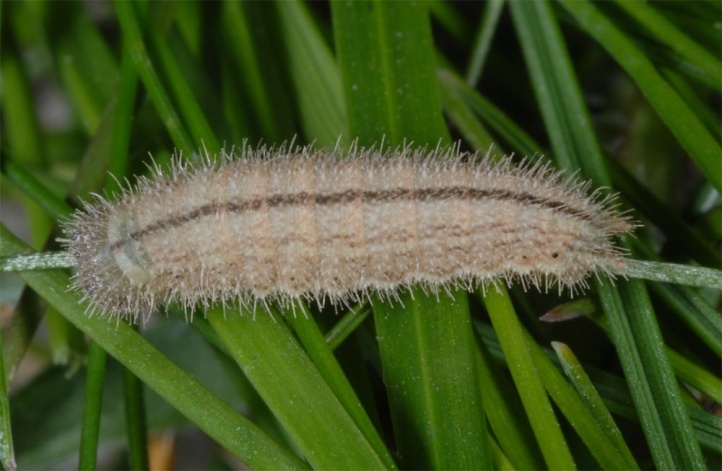 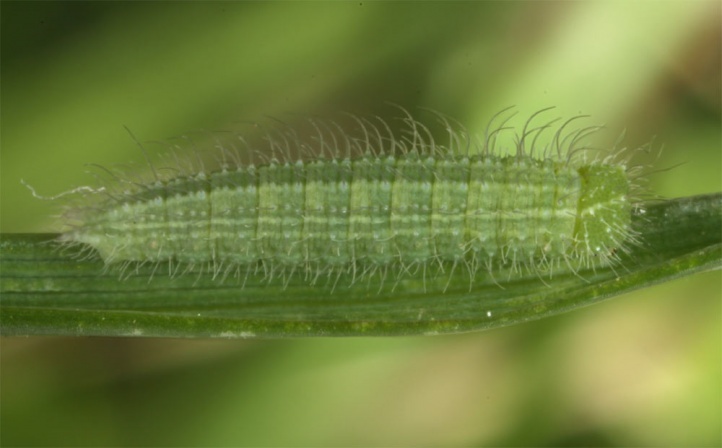 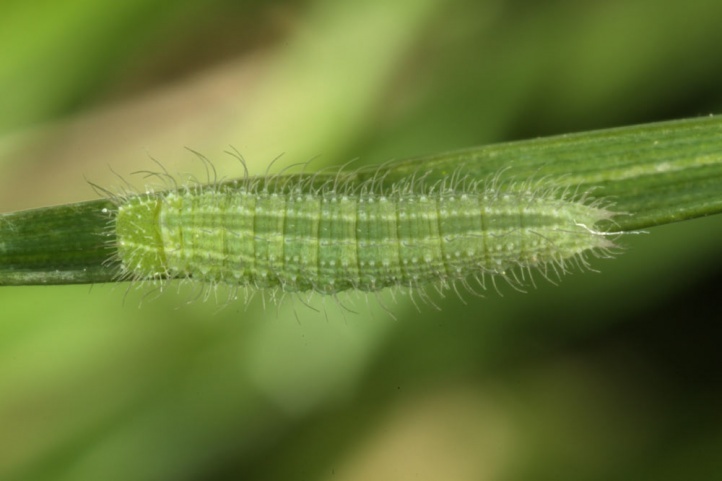 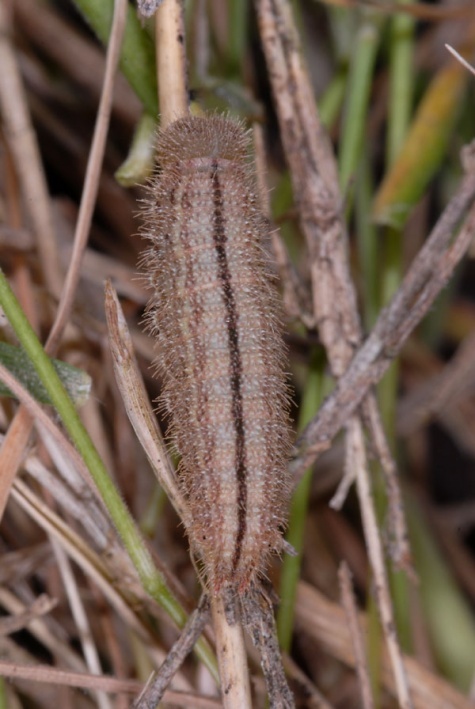 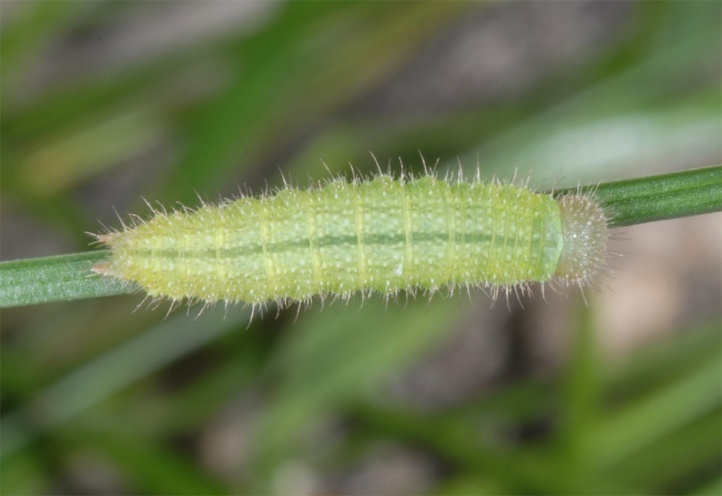 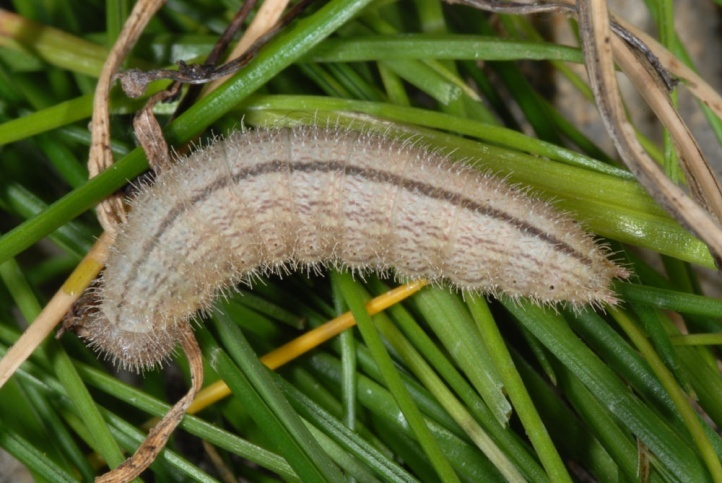 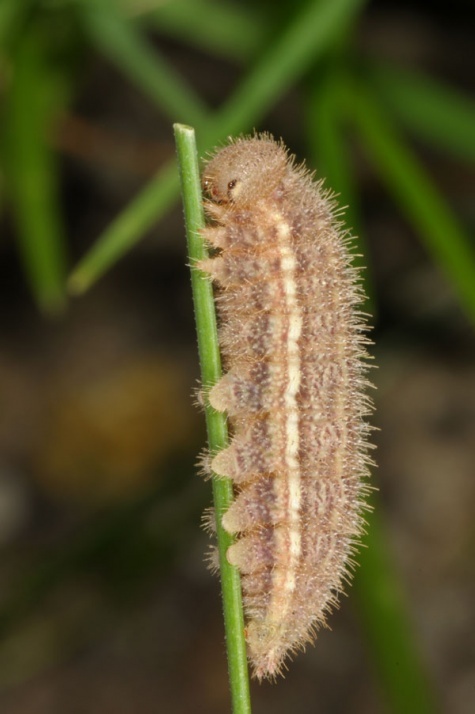 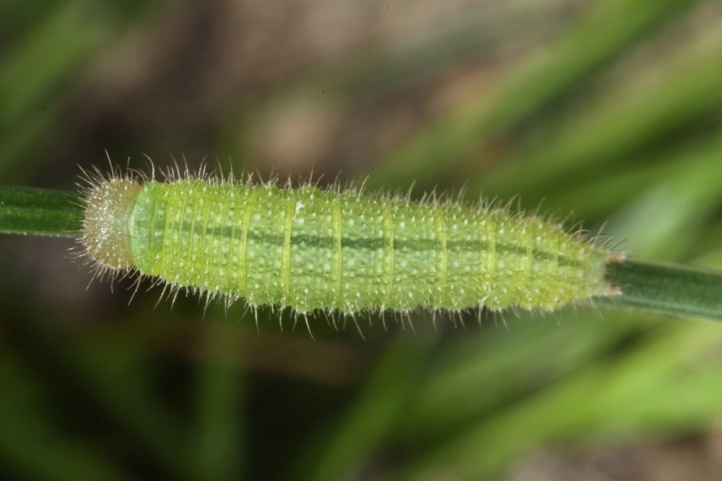 The caterpillar feeds on grasses such as Calamagrostis, Agrostis, Dactylus or Avenella flexuosa. 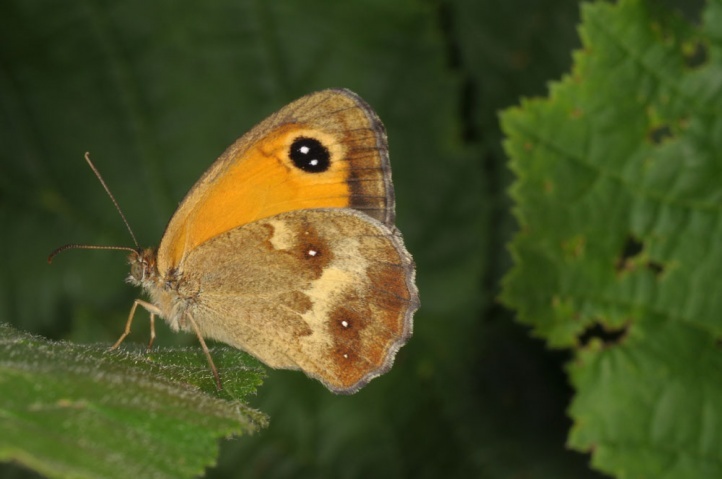 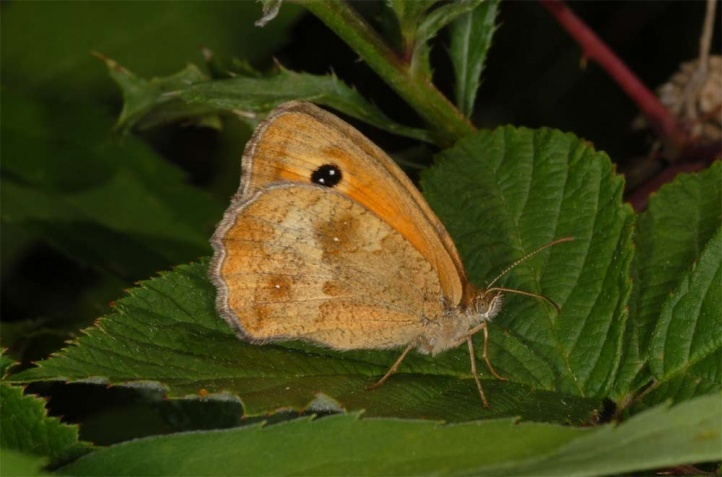 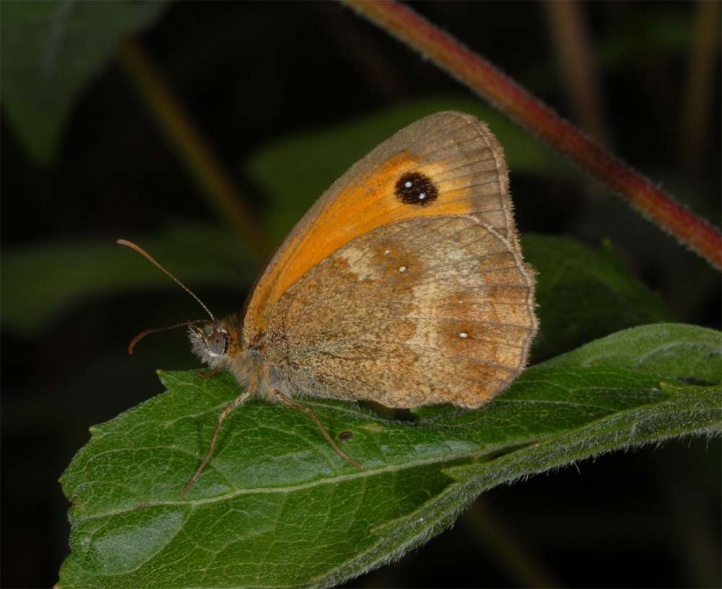 Maniola tithonus lives along forest paths, in clearings, young plantations, grassy edges in wooded hedgerows, successions in grove rich sand pits and other partially wooded habitats. 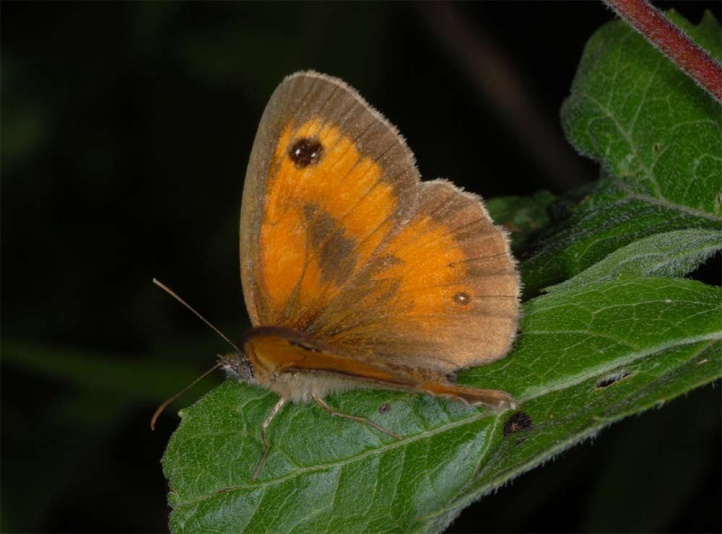 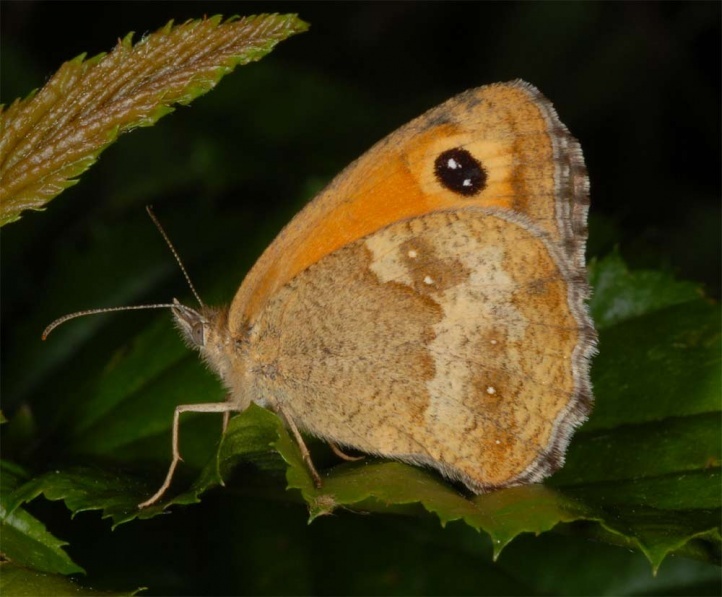 In southern Europe it is also found in more open sites in higher elevations. 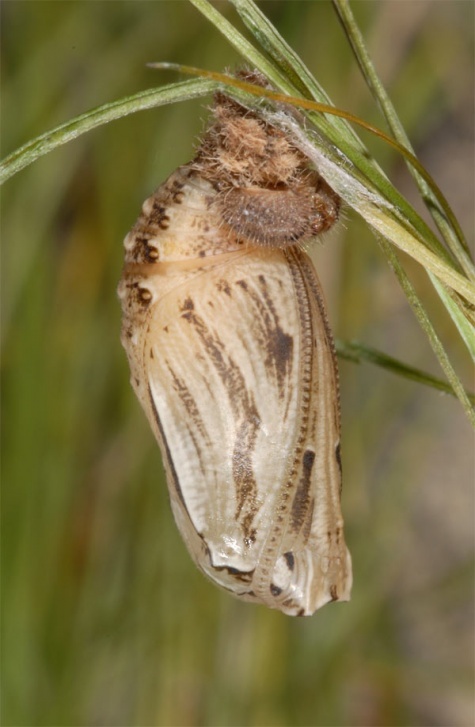 On Sardinia, I found larvae together with those of Argynnis elisa in 1500m above sea level in May 2012 on open grazed slopes. 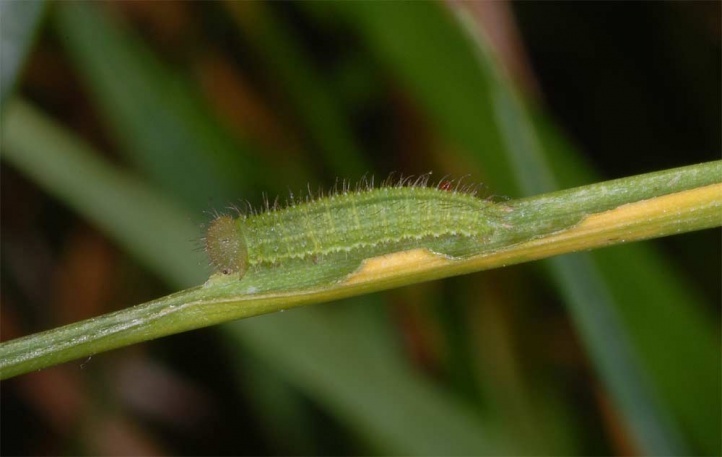 Probably the very low growing bushes of Genista there substituted the otherwise preferred scrub. 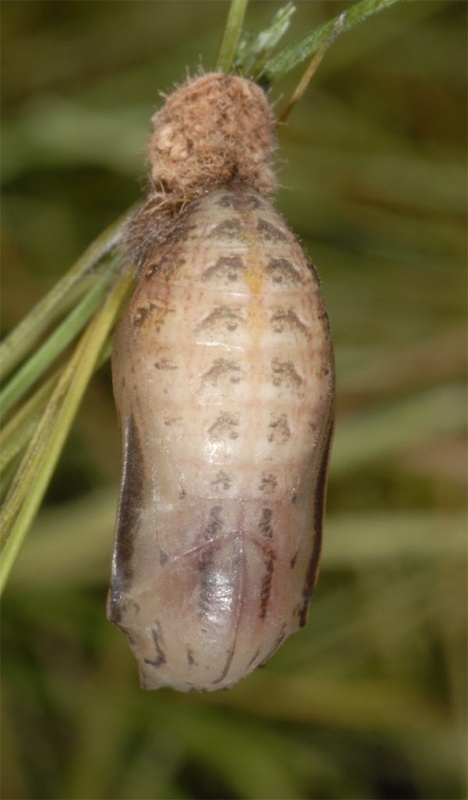 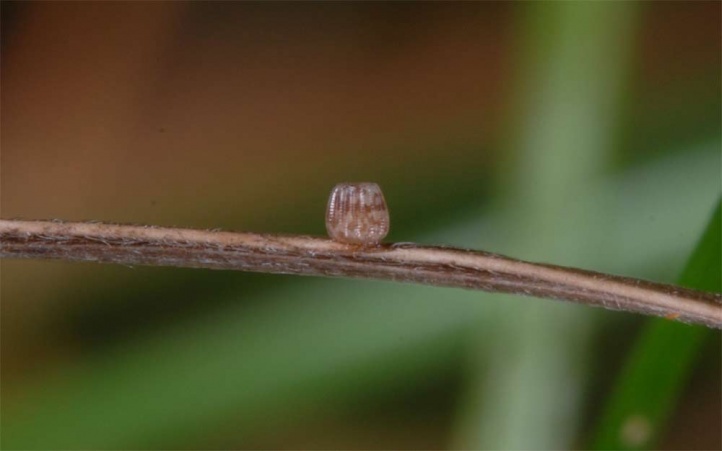 The caterpillar feeds only little after hatching from the egg (summer dormancy). 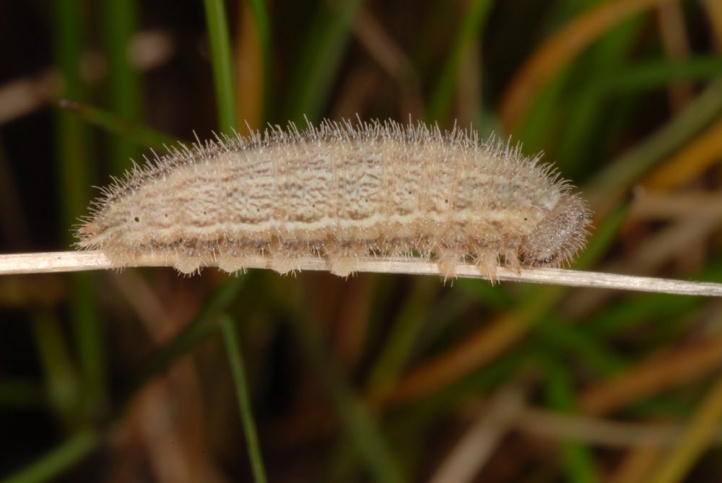 In the autumn it will be more active and the growth begins. 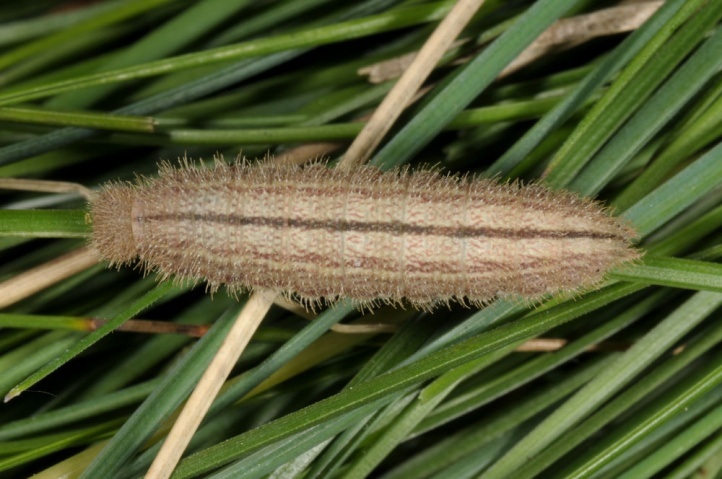 It is mature after the winter around late May or June. 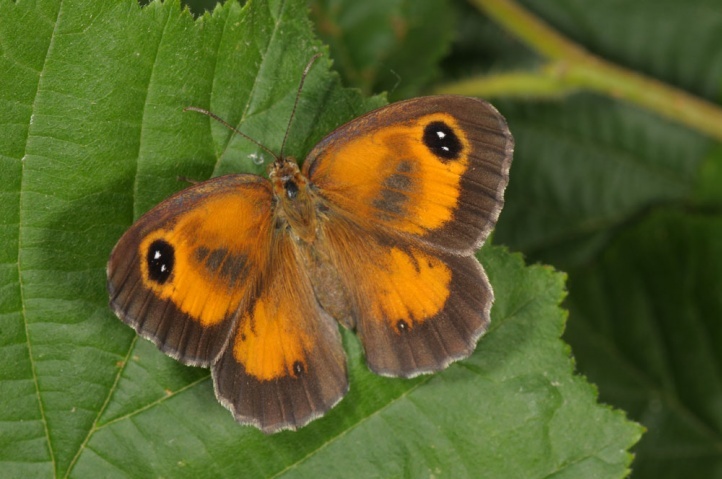 The adults fly from late June through August (females sometimes even in early September). 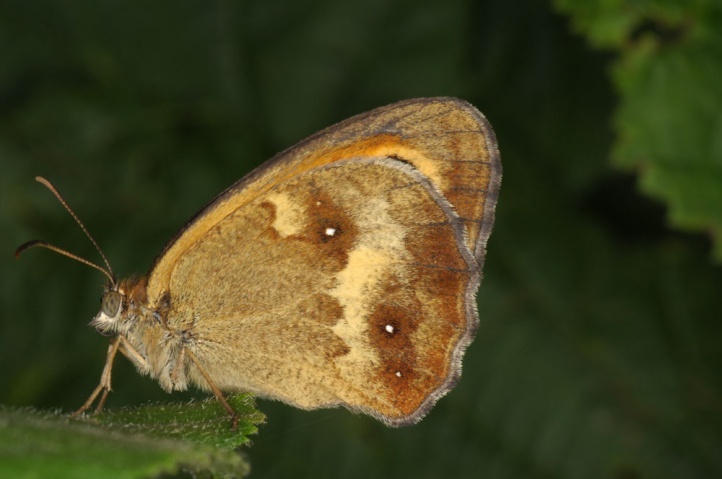 Maniola tithonus is threatened only locally by densification and thus darkification of forests. 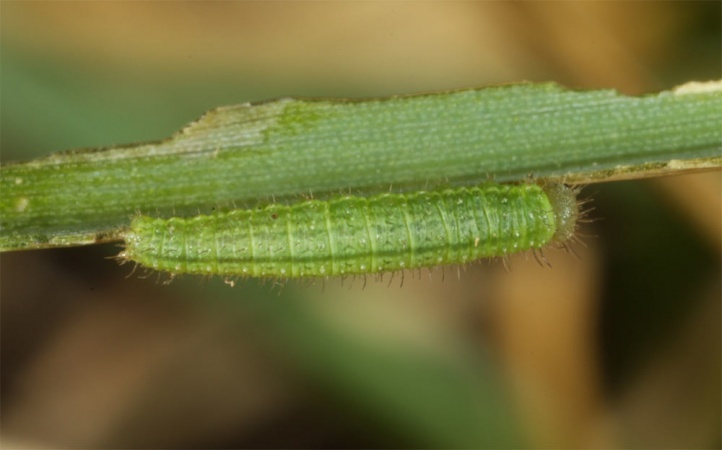 It is relatively adaptable and can even survive in Solidago canadensis-stocks as long as grasses are still occurring. 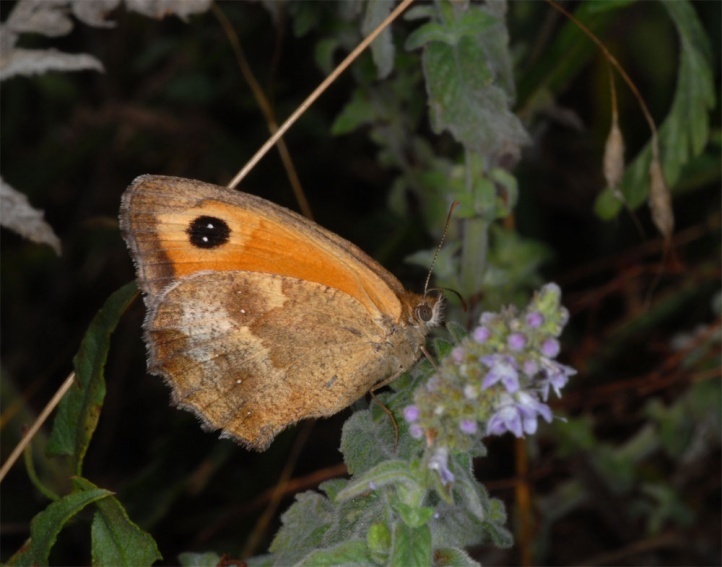 Maniola tithonus occurs from Morocco across large parts of Europe (except the far north) to Turkey. 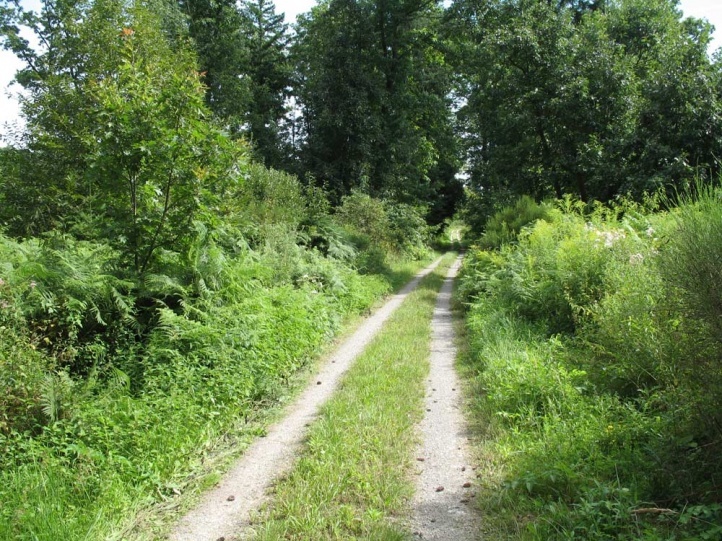 But it lacks in some areas as well as the northern Alps and large parts of Bavaria (only in the Steigerwald) and eastern Baden-Württemberg.